Turkish Airlines this month celebrates its fourth year of operations connecting Kathmandu directly with Europe and through Istanbul to the rest of the world. The airline has now increased frequency to five times a week. Nepali Times: Has load factor on Turkish Airlines Kathmandu sector now returned to pre-earthquake levels? 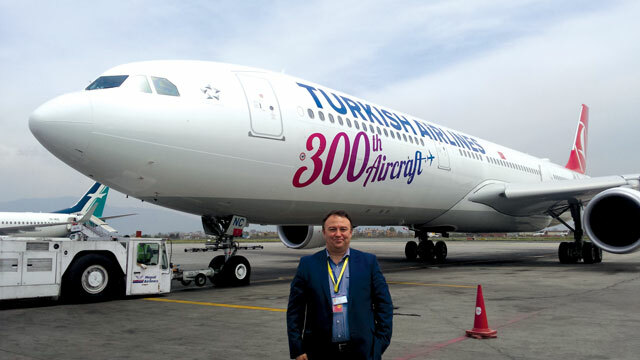 Abdullah Tuncer Kececi: Turkish Airlines started flights to Nepal in 2013 September and has been promoting Nepal as a tourism destination from the beginning. We are celebrating the fourth anniversary of connecting Nepal to the rest of the world. The number of people travelling to and from Nepal went down almost 40% after the earthquake, but it has been picking up again. We believe that promoting Nepal as a tourism destination will also help to recover quickly. The tourism industry is one of the main income earners for the country. You can see Turkish Airlines in all tourism fairs such as WTM London, FITUR Madrid, ITB Berlin and IFTM Paris, trying to promote Nepal. We are not trying to get a big piece from the cake. We are trying to make the cake bigger for everyone. For us, Nepal is more than mountains. Which areas of the world are you focusing on for Nepal traffic via Istanbul? It’s mainly Europe. We even celebrated 50 years of operation in some of our destinations in Europe. Our passengers know Turkish Airlines for the quality of its service very well. We have been honoured as Best European Airlines for six consecutive years and fly to 117 destinations in Europe. Of course it is not only Europe. We have 300 destinations all over the world: 9 cities in the US, 5 in South America, 2 in Canada, 51 cities in Africa and almost all Asian countries as well. What are the major operational bottlenecks for you in Nepal? Nepal has great tourism potential. We have a target of 5 million tourists in Nepal. But everything must move parallel to reach this target. As everybody knows, there are some infrastructure problems we have to resolve. These are barriers for growth. Roads, airports, connectivity between cities, number of hotels, service quality — all must move in parallel. We have only one international airport. 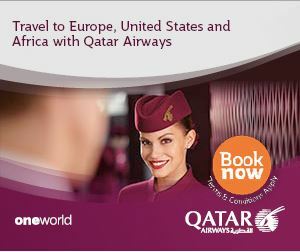 The capacity is a major concern for us and all other airlines operating here. 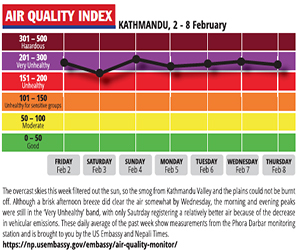 Kathmandu is not an easy destination because of heavy air traffic, which forces aircraft into long holding patterns. The airport has to be urgently upgraded and extended to meet growth targets for tourism. This is a very critical point for us. We are the only European airline and have a long-distance flight to and from Kathmandu. The cost of refueling in Kathmandu is almost double that of other destinations, which is unacceptable for us and other airlines too. Similarly, ground handling charges are unreasonably expensive and do not meet quality standards. We are trying to have daily frequency to Kathmandu, but it is not easy because of these reasons. Friends must tell the truth. We will correct all these areas together and in collaboration with all related organisations and authorities. This is not just for us, it is for Nepal. Have the international airlines brought this to the notice of the CAAN (Civil Aviation Authority of Nepal)? We have to be hopeful and keep prodding the authorities. All international airlines operating in Nepal need to offer their quality of service to continue their business. Even though Nepal is very popular as a tourist destination, a lot more people would come here if the infrastructure was upgraded. We keep explaining to the concerned authorities that Nepal can reap benefits if airlines bring in more people. So, I am hopeful that the authorities will come up with the solutions. We will keep pushing the government and want everybody to see us as part of the solution, and to provide better service to help Nepal’s tourism industry. How about congestion at Istanbul for transit passengers? We already have two airports in Istanbul. Now we are building the third one. The new airport will be one of the world’s biggest, and will be completed next year. The city’s location makes it an ideal transit hub for passengers from Kathmandu to world destinations. We are also encouraging transit passengers flying via Turkish Airlines to make stopovers in Istanbul by offering reasonable packages and e-visas. Besides that, depending on the connection time we have Tour Istanbul packages and free hotel accommodation. Nepal’s tourism industry has seen what Turkish Airlines is trying to do to develop the market. Hopefully we will celebrate silver, golden anniversaries and be able to offer two daily flights in the future. We will move together with Nepal to reach the targets.